Rev. 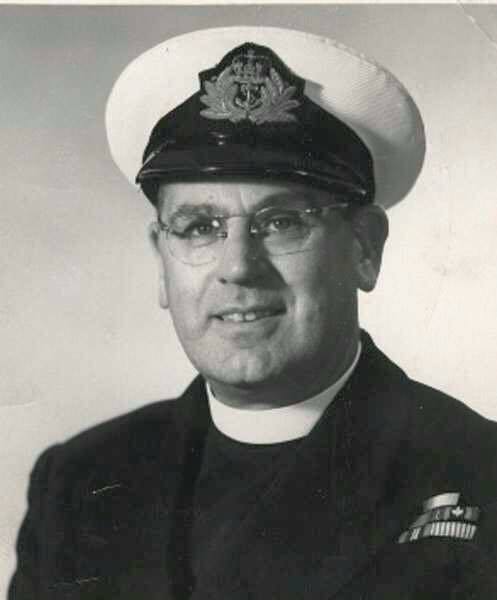 Harry Ploughman was Chaplain of the Fleet in the Canadian Navy during WWII. His grandson Matt had posted his picture in the days leading up to Remembrance Day. "This is a painting waiting to happen," I wrote as a reply to seeing this photographic portrait from over 70 years ago. 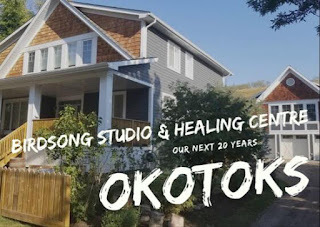 Matt, one of my new painting clients, said he would love to have it done for his parents down the road, when he'd saved a bit of money for the project. As it was Remembrance Day morning, and as I felt called to paint this picture, I asked Matt if he would be OK with me doing it anyway. "This would be a gift from me to your family," I wrote. It was a reflective way to spend Remembrance Day. Shortly after the clock hit the eleventh hour, the painting was done. I’m sure this package and its contents will come as a little bit of a surprise. Your son Matt had posted a picture of Harry early this morning on Facebook. It caught my eye immediately. As my way of “remembering” on this Remembrance Day I decided to paint his portrait and gift it to your family. I’ve been doing portraits since June 2014. It all started with my shed that had been vandalized with some unwanted graffiti. I decided to cover it up with something beautiful, a large mural of a revered Metis elder in our community. That large painting sparked a creative explosion and what has turned out to be an unexpected second act of my life. For the better part of two decades, I have been a communications professional, starting off in the radio broadcasting business and eventually moving in the post-secondary world as the Director of Communications at our local college. Just prior to incorporating painting as a major part of my life, I started working with the local United Way. In the 16 months that have passed, over 180 portraits have come out of my repurposed carpentry shop and have scattered across the country and the US. Yours will be the first to land in PEI. For that, I’m grateful. I call this style of portraiture “Wild Colour Painting”. It has taken off and has allowed me to contribute to the community in a new way. I often do paintings, live at major charity events, an endeavor that has raised tens of thousands of dollars for worthy causes. Along the way, I have done portraits, like the one of Harry, as gifts to families out of the blue. In some ways, these are the most rewarding projects of all. My hope is that you accept this painting as a gracious gift from a total stranger in the spirit in which it was created – a small gesture of friendship from northern Alberta in remembrance of this fine gentleman who served his country so well. Hey Russell! Merry Christmas week!!!! So my parents with Aunt Mary opened the parcel on Christmas Eve and I have to tell you, they are in awe!!! I spoke with my Mom yesterday and she started crying. She told me that they hung it in their den next to a painting they have of Harry's wife, my Baba. As my Mom was tidying up, she told me that she felt a presence, and turned around to say "Hi Dad" as if he was actually standing there. They are so grateful to you, and I'm sure you will hear from them personally. Now the battle is on(in a good way) to see who gets custody - my Mom or Aunt Mary. Thanks again and again for your kindness man. 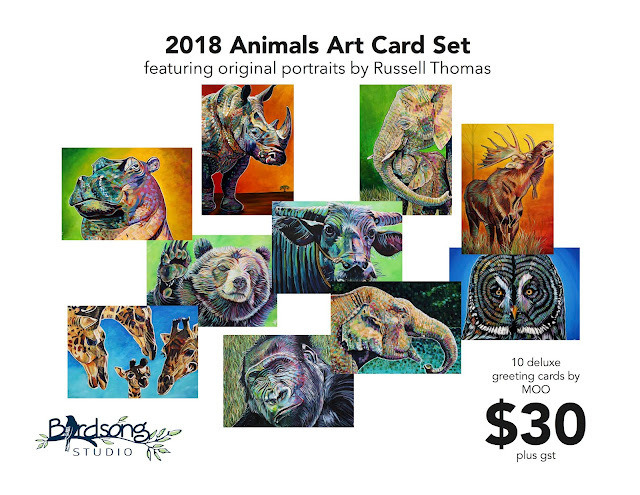 If you ever wonder what drives me to keep painting - the total is now north of 230 pieces - it is opportunities like this to rekindle memories, make connections and spark conversations. I'm so grateful to Matt for sharing this story, a magical moment on Christmas Eve on the opposite end of the country. Thank you!